We are delighted to offer a fast emergency plumbing service to Cockermouth emergency plumbers and the surrounding area. High Brigham Nr Cockermouth where our emergency plumber Cockermouth changed old copper pipe with pin hole leak. Low Road Close, Cockermouth where our emergency plumber fixed a leak in a heating pipe which was dripping into the room below. Cumbria Emergency Plumbers attended an emergency call on Castlegate Drive in Cockermouth. A customer in Cockermouth had a burst water pipe under the floorboards due to the cold snap in May and we attended and sorted it out. Attended a leak for a customer on the same day at New Street, Bolton low houses. Customer had a leak in the ceiling from pipes in bathroom and needed it urgently sorting at Dereham Mill, Dereham Bridge. Toilet needed new parts at Brigham Road in Cockermouth which we sorted that morning. Replaced a faulty inlet valve on a toilet at Gable Avenue in Cockermouth. Leaking pipes in a kitchen was fixed at Strawberry Howe in Cockermouth. 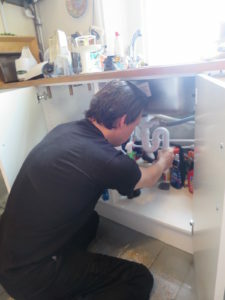 If you are in Cockermouth or the surrounding area and need a Cockermouth emergency plumbers fast, call 01768775812 now and we will usually be with you within the hour. Plumber Papcastle 017687 75812, Plumber Brigham 01900 878 334. Plumber Little Broughton 017687 75812, Plumber Eaglesfield 01900 878 334. Plumber Greysothen 017687 75812, Plumber Bothel 01900 878 334. Plumber Broughton Cross 01900 878 334, Plumber Dovenby 01900 878 334, Plumber Lorton 01900 878 334. Plumber Gilcrux 01900 878 334, Plumber Embleton 01900 878 334. Plumber Bulgill 01900 878 334, Plumber Bridekirk 01900 878 334. Plumber Tallentire 01900 878 334, Plumber Torpenhow 01900 878 334. Plumbe Aspatria 01900 878 334, Plumber Redmain 01900 878 334. So if you are in Cockermouth or any of the surrounding villages and need a plumber look no furthe than Cumbria emergency plumbers. With years of experience of the local area we are perfectly placed to deal with your plumbing issues no matter how big or small.